University of Canberra health students have started classes and placements at the new University of Canberra Hospital on campus. 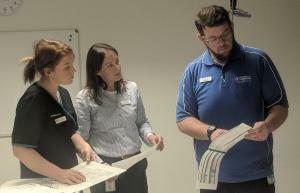 The new University of Canberra Hospital (UCH) has welcomed its first students undertaking placements through the dedicated Clinical Education and Research Centre (CERC). 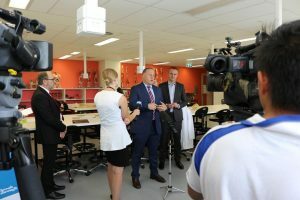 The CERC, a collaboration between ACT Health and the University of Canberra, is an innovative teaching facility that allows for valuable practical training and greater teaching and research opportunities between the two organisations. The University of Canberra has cemented its place among the world’s top 100 young universities according to new rankings. The University has soared to number 58 in the prestigious 2018 Times Higher Education (THE) Young University Rankings. The ranking, which lists the best universities under 50 years of age, saw the University of Canberra climb 33 places after being named at number 91 last year. The University of Canberra’s Dr Ana Tanasoca is the joint recipient of the 2018 Max Crawford Medal, Australia’s most prestigious humanities award. The University of Canberra’s Dr Ana Tanasoca is the joint recipient of the 2018 Max Crawford Medal, Australia’s most prestigious award for early-career researchers in the humanities. 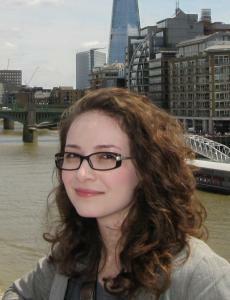 Dr Tanasoca, a postdoctoral research fellow at the University’s Centre for Deliberative Democracy and Global Governance, has been recognised for her work around the ethical and political problems that accompany dual citizenship and questions of multiple citizenship. The University of Canberra Hospital is a step closer to welcoming patients, staff and students with construction of the facility now complete. The hospital is expected to open to students and patients in July. 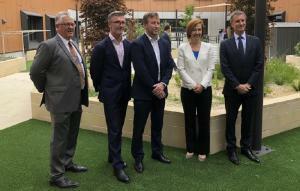 The community in Canberra and surrounding region is a step closer to accessing University of Canberra’s newest purpose-built public hospital with construction of the facility on the University’s Bruce campus now complete. The hospital, which will open its doors in July, will provide great opportunities of learning and research for the University’s students and staff. 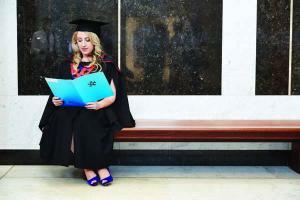 Reason to study at the University of Canberra, and why you should stay in the city of Canberra. 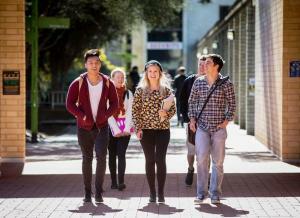 Why Study at the University of Canberra? As a university, the University of Canberra (UC) prides itself on effectively preparing students for the jobs of today and tomorrow. Our success in achieving this can be evidenced by the fact that our graduate employment and salary rates (as per QILT) are among the highest across all universities and superior to those of the Group of 8 universities. 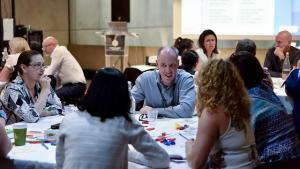 Early childhood educators from across Australia have been learning new ways to introduce pre-schoolers to STEM (science, technology, engineering and mathematics) concepts with the University of Canberra’s STEM Education Research Centre (SERC). Educators from early learning centres have engaged with digital technology in ways that integrate educational apps into play-based contexts to further young children’s grasp of foundational concepts in STEM. 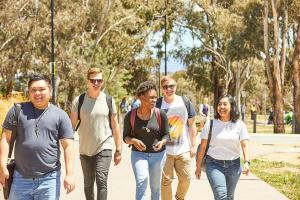 The University of Canberra continues its rise up the global rankings to sit among the best universities in the world with the latest results. The 2018 Times Higher Education (THE) World Rankings have placed the University of Canberra in the top two per cent of tertiary institutions worldwide. 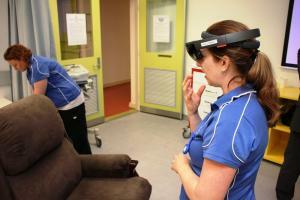 New hologram technology is allowing University of Canberra nursing students to learn about physical assessment in an innovative way. The technology is being used to augment the nursing classroom experience, giving students the chance to interact with a holographic patient, exploring complex scenarios. Icon Group, Australia's fastest growing cancer care provider, has received approval to establish a new cancer care centre at the University of Canberra. 21 January 2016: Icon Group, Australia’s fastest growing integrated cancer care provider, has received approval from the Commonwealth to establish a new state-of-the-art cancer centre at the University of Canberra. The Radiation Oncology Centre will increase the availability of radiation and medical oncology services in the ACT and surrounding region, while also providing significant training and research opportunities for the University’s staff and students. The QS Best Student City ranking considers factors such as individual university rankings, student mix, city affordability and quality of living to rank cities around the world in terms of their attractiveness to potential students. It is a great achievement for Canberra, which has only been included in the rankings for the last three years, and no doubt due to the University of Canberra’s continue rise in university rankings programs. Canberra’s position among the Best Student Cities comes on top of other great results this year with the University of Canberra now rated in the top five percent worldwide.